Pocket-size cards with brief divrei Torah for your Shalach Manos, write a personalized note inside, or hand them out on Purim! 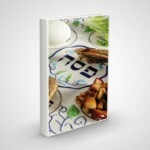 Add meaning and inspiration to your Purim this year with these pocket Torah cards. Use HappyPurim.com As a Successful Fundraising Drive!